Stations ordered with Option X43 revert to battery backup power for sta¬tion operation in the event of an ac power failure. The station continues to key during battery revert, while final power output is reduced by a user- input fixed cutback reduction percentage. Batteries are not included with the station. Battery charging by the station is available for standard power stations only (125 W or less). For standard power stations, the station will recharge the battery/batteries after they have been used. For high power stations, an external battery-charging source must be used. 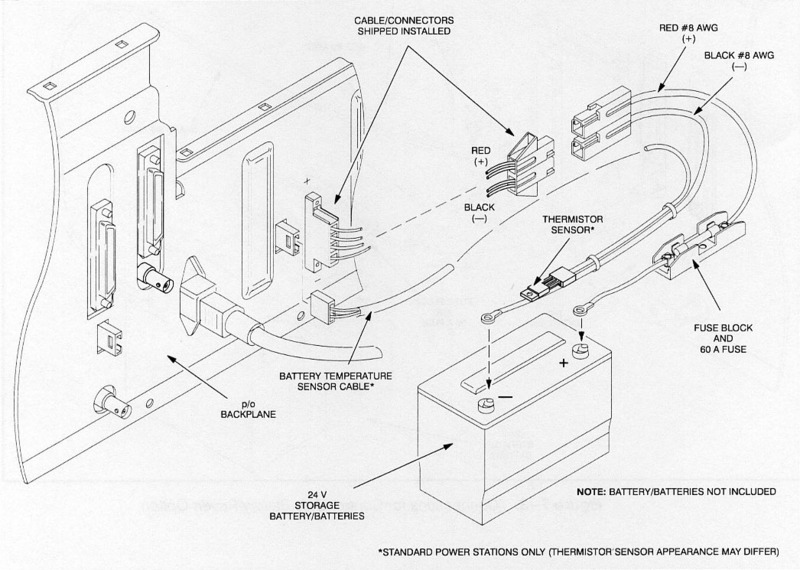 Make connections to the battery/batteries as shown in Figure 7-4.